I vividly remember learning in mid-2003 that the Howard Government was going to intervene in Solomon Islands along the lines of ASPI’s Solomon Islands report . It was exciting that ASPI was contributing to government policy. But I was also apprehensive: while think tank analysts are used to putting forth ideas, they’re far less used to seeing their ideas implemented, particularly with such a policy shift. I had worked with ASPI Director Hugh White to prepare the paper, along with contributors Quinton Clements, Mary-Louise O’Callaghan, and Greg Urwin, and with Solomon Islands’ perspectives from Sir Fr John Ini Lapli and Sir Peter Kenilorea. Hugh White and I believed Canberra’s longstanding Southwest Pacific policy of providing aid but expecting states to solve their own problems was not addressing Solomon Islands’ political and security crisis. Australia’s interests were engaged by this crisis, the Solomons government wanted Australia’s help, and we believed the policy should change. RAMSI quickly brought an end to the violence in Solomon Islands. The capacity building phase was always going to be imperfect, difficult and costly. 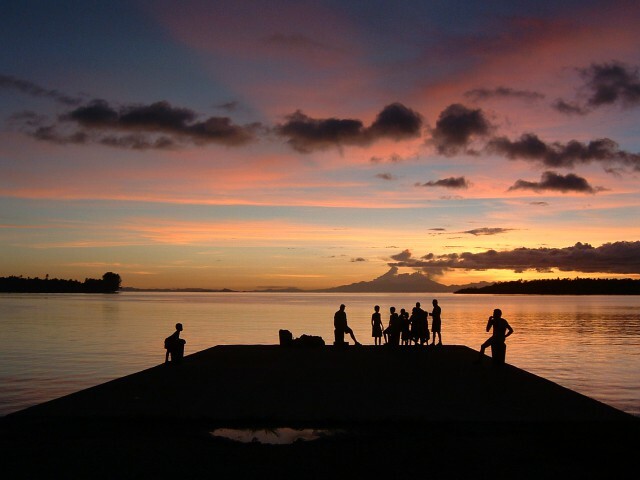 Today Solomon Islands still has real challenges, not least the challenge of an island economy. But RAMSI could never have solved all Solomons’ challenges, as it couldn’t overcome Solomons’ geographical constraints. And nation building has proven enormously hard in every instance globally. Elsina Wainwright is an Adjunct Associate Professor at Sydney University’s US Studies Centre and a Visiting Fellow at New York University’s Center on International Cooperation. Now based in New York, she was ASPI’s first Strategy and International Program Director.